If the health-care experiment fails in Vermont, it would send shock waves nationwide. As Obamacare, beset with calamities, enters its fourth year, the cerulean-blue state of Vermont is well into its fourth year of preparing to astonish America by installing Canadian-style single-payer health care. To understand the political dynamics of this plan, it’s necessary to go back to the 2010 election for governor. After eight able years at the helm, much of it spent deflecting left-wing (known locally as “Sanderista,” after socialist senator Bernie Sanders) legislative initiatives, popular Republican governor Jim Douglas stepped down. Five Democrats leaped into the race to succeed him. To win a contested Democratic primary in Vermont, a candidate must assemble a coalition of labor unions, environmentalists, anti-nukies, welfare advocates, feminists, global-warmists, land-use controllers, anti-gunners, and other Sanderista life forms. A strong component is the single-payer health-care advocates, who have labored for over two decades to propel Vermont into the kind of government-controlled health-care system that has been operating since 1984 in Quebec, just across the border. During the 2010 Democratic primary run-up, the Sanderista forces — many active in Vermont’s Progressive party — summoned the five Democratic hopefuls to a public commitment session. (The Progs enthusiastically vote in the open Democratic primary.) There all five swore allegiance to the shining dream of single-payer health care. State senator Peter Shumlin won the primary with a plurality — he won by 197 votes over the second-place finisher. (Vermont does not have a runoff.) He went on to best Republican lieutenant governor Brian Dubie in the general election with 50.9 percent of the two-party vote. Shumlin kept faith with his single-payer supporters. He persuaded the heavily Democratic legislature to pass Act 48, the blueprint for single-payer, taxpayer-financed, government-controlled health care. The Act declares that Vermont shall have a fully government-controlled and taxpayer-financed “health delivery system.” This was formerly promoted as “single-payer,” until that term became a political liability as more and more Vermonters discovered what it stood for. Now it’s called a “public-private universal health-care program” making “single payments” and enforcing its “global budgets” on health-care providers. Even Shumlin has retired “single-payer,” partly because it suggests the Quebec system that is not working so well, and partly because when “Green Mountain Care” is realized in 2017, there are likely to be at least five payers: Green Mountain Care, Medicare, Tricare, self-insured (“ERISA”) companies, and federal employees. The key to passing Act 48 was the Hsiao report. This was a comprehensive plan presented in 2011 by consultant William Hsiao of the Harvard School of Public Health. Hsiao is noted for devising the Resource Based Relative Value System that has bedeviled the Medicare system since 1993. Hsiao told the legislature that his single-payer plan would result in $580 million in first-year health-cost savings. These enormous savings in a small state (it will have a projected $6 billion in total health-care costs in 2017) were to flow from eliminating insurance companies with their advertising, administrative costs, and profits. This would allow the powerful Green Mountain Care Board to ensure to everyone “affordable and appropriate health care at the appropriate time in the appropriate setting” as determined, of course, by the board, always in light of available resources. Wow! What could be better? One crucial key to instituting GMC is obtaining an Obamacare waiver from the Department of Health and Human Services in 2017. 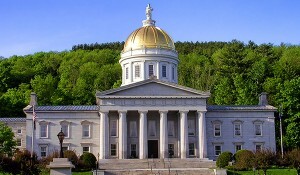 The waiver would allow Vermont to substitute single-payer for the Obamacare insurance regime. The waiver would also provide that an amount equal to the total tax credits handed out in the final year of the state’s Obamacare exchange (“Vermont Health Connect”) would be collected into one large bag and delivered to the state to finance single-payer each year. When that day arrives, Vermont’s two surviving health-insurance carriers — Blue Cross Blue Shield of Vermont and Albany, N.Y.–based MVP Health — will cease to exist, except possibly to offer Medigap-style coverage for some as-yet-undefined form of patient cost-sharing. Some serious missteps occurred on the way to Vermont’s implementation of the Hsiao report. First, the legislature’s veteran Joint Fiscal Office director, Steve Klein, informed the solons that, while their single-payer plan would produce cost savings for the first two years, over the longer term health-care costs would rise faster than revenues. “It’s not going to be a pretty picture,” Klein said. Their enthusiasm remained undimmed. Then medical-malpractice reform, which Hsiao said would produce a fifth of the spectacular savings, disappeared into a study committee and was predictably crushed by the personal-injury plaintiff’s bar. A few brave souls in the legislature wanted to know — before the 2012 election — just where the governor was going to get the money to pay for whatever the Green Mountain Care Board thought was “appropriate etc.” The Shumlin forces set the report date two months after the election, and a Republican effort to make the governor tell the voters in October was hammered down on party lines. When the statutory January 2013 report date arrived, the governor refused to produce the mandated report. It’s now the summer of 2014, and Shumlin, having forsworn deadlines, now says the citizens will get the news in 2015, after another election. The news, incidentally, will be frightening. Two independent analyses of the likely cost of Green Mountain Care, above and beyond federal subventions, found that it will likely require a $2 billion tax hike. This, in a state whose general-fund budget is $1.44 billion. Democratic state senator Peter Galbraith (son of the famous economist) helpfully reported in May that the Shumlin administration had decided to propose an income-based “premium” (i.e., tax) of up to 9 percent on incomes of $50,000 or more, plus a 2 percent gross-receipts tax and a 5 percent employer payroll tax. This particular menu remains unconfirmed. The governor has now hired yet another expert to come up with some combination of revenues to fill the gap. Meanwhile, the newly appointed Shumlin health-care czar, Lawrence Miller, is vigorously promoting the argument that the termination of premiums will leave plenty of loose change about to cover the new tax requirements (at least for some of those who were already paying premiums). Until single-payer becomes a reality, Vermont will need to operate an Obamacare exchange. In October 2013, the Obama administration earmarked $170 million for the state to create this electronic wonder. This is in a state with 621,000 people, an estimated 65,000 (exclusive of Medicaid enrollees) of whom are expected to buy insurance coverage. Vermont has only two surviving health-insurance carriers. The others fled into exile 20 years ago when the legislature imposed the nation’s strictest community-rating and guaranteed-issue laws (to save the imperiled solvency of Blue Cross Blue Shield of Vermont). In the run-up to the exchange, Shumlin got the legislature to prohibit residents from purchasing individual and small-business plans directly — i.e., from the two carriers outside the exchange. Vermont was the only state to adopt such a restrictive requirement. The reason is that Shumlin needs to maximize the value of Obamacare tax credits claimed through the exchange so that he can collect the total in 2017 to defray the cost of Green Mountain Care. What is puzzling about the exchange episode is that the entire enterprise will wink out in 2017, when Green Mountain Care replaces health insurance. The $170 million, plus on the order of $30 million paid by the state to maintain the exchange for three years, will simply have gone down the drain. Meanwhile, the state wangled another $45 million grant from Washington to design “payment reform.” When the Hsiao report appeared in 2011, single-payer backers were elated that $580 million in health-care savings would suddenly appear from this concept, which focuses on converting “fee for service” medicine (as in Medicare and Medicaid) into capitated payments — where medical providers, organized into Accountable Care Organizations, are paid a fixed sum per patient, depending on the covered group’s medical profile. It turns out this is far from easy. Integrated providers such as Kaiser Permanente (California) and Intermountain Health Care (Utah) have had considerable success with this model — but they own their own hospitals and employ their own doctors. Making it work with many independent physician groups, 39 nursing homes, and 14 hospitals — 15 if the Dartmouth Hitchcock Medical Center in nearby New Hampshire is included — will be challenging, to say the least. Any number of developments could afford Shumlin the opportunity to walk away from single-payer. One, obviously, would be a legislature unwilling to saddle taxpayers with that enormous tax bill. Another would be the inability of the state to levy payroll taxes on hundreds of self-insured (“ERISA”) companies (IBM, GE, General Dynamics, etc. ), who assuredly will wage a furious legal battle to escape the tax. Another would be the refusal of Washington to agree to deliver the exchange tax credits for 2017. Yet another would be growing acceptance within the state of the view of John Brumsted, the highly respected CEO of Vermont’s largest hospital complex, Fletcher Allen (Burlington). He was quoted June 9 as saying, “It is, in my view, difficult to see a publicly financed system where there isn’t so much pressure on the flow of money into the system that it becomes increasingly more difficult to provide care.” Ouch! The failure of single-payer in Vermont would be an enormous disaster for the Left, which has enthusiastically embraced the Vermont single-payer petri-dish experiment. Senator Bernie Sanders, who has supported socializing everything at one time or another, said on May 21, “Our effort in Vermont could start the same kind of chain reaction that Canada saw throughout the mid 20th century. As the U.S. has observed throughout history, with the abolition of slavery and current efforts over the right to marry, sometimes all it takes is one domino to fall before the rest come tumbling down.” The unspoken flip side: If Green Mountain Care collapses in deep-blue Vermont, the single-payer dominoes are likely to tumble down in every state where the Left is promoting that concept (notably California). If Shumlin can find somebody or something to credibly blame for thwarting his grand plan, especially if it happens to be a Republican Congress and president, he might, in his words, have to take his marbles and go home. Then he could leave Vermont’s health-care petri dish behind and concentrate his efforts on its energy petri dish — making sure that Vermont gets 90 percent of its energy from renewable sources by 2050, no matter what it costs. — John McClaughry is a former state senator and founder of the Ethan Allen Institute. for peole knowledge, well, keep up the good work fellows.